This Friday is Chinese New Year, a day to celebrate with good food, friends and family. I love this holiday because it’s an excuse to eat all the delicious Asian foods! We always celebrated Chinese New Year when I was a kid by going to our favorite Chinese restaurant. This year though, we’ll be celebrating at home eating our favorite Asian foods. 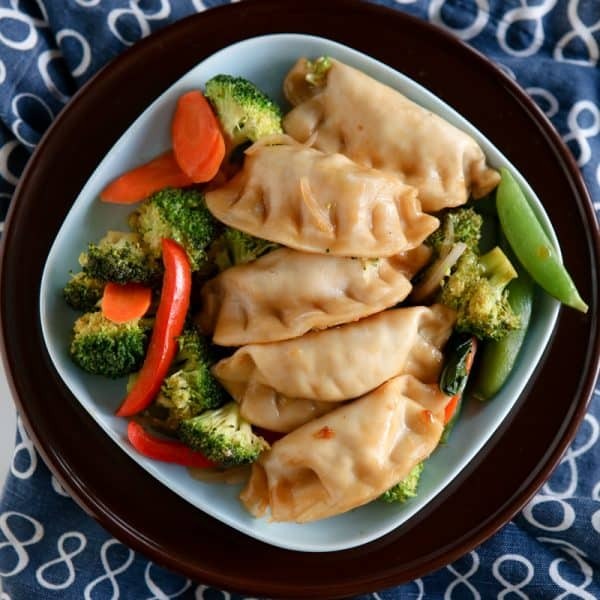 This Friday we’ll be making a small buffet of delicious Potstickers. 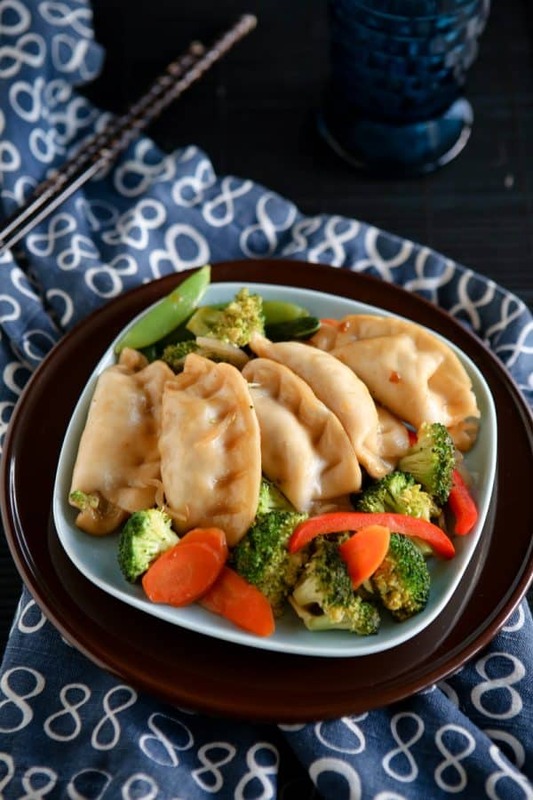 I like to stir fry them as shown with different vegetables and sauces, make them in soups and even deep fry them and serve them with different types of dipping sauces. They are so versatile and amazingly delicious! 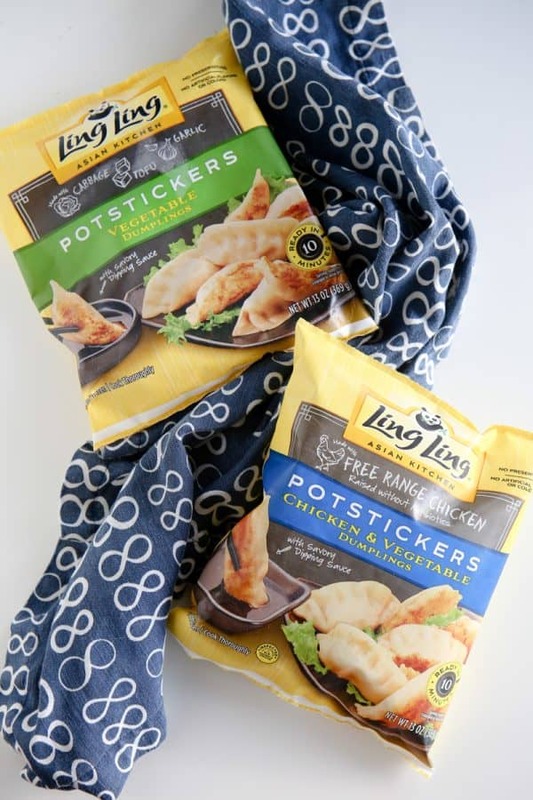 Making Potstickers at home couldn’t be easier after I found Ling Ling frozen Potstickers in my grocer’s freezer. 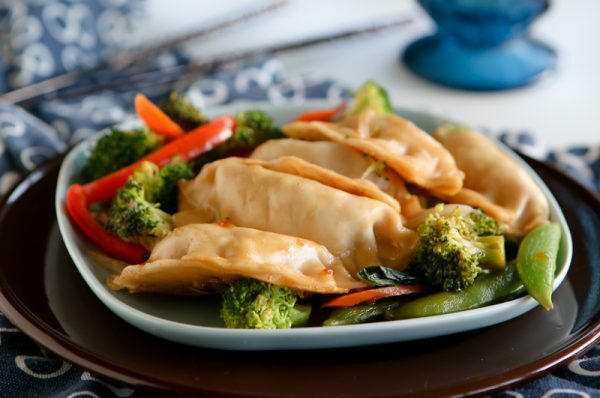 They cook in just minutes and can be served incorporated in a recipe as shown or as an appetizer to even more delicious Ling Ling foods. 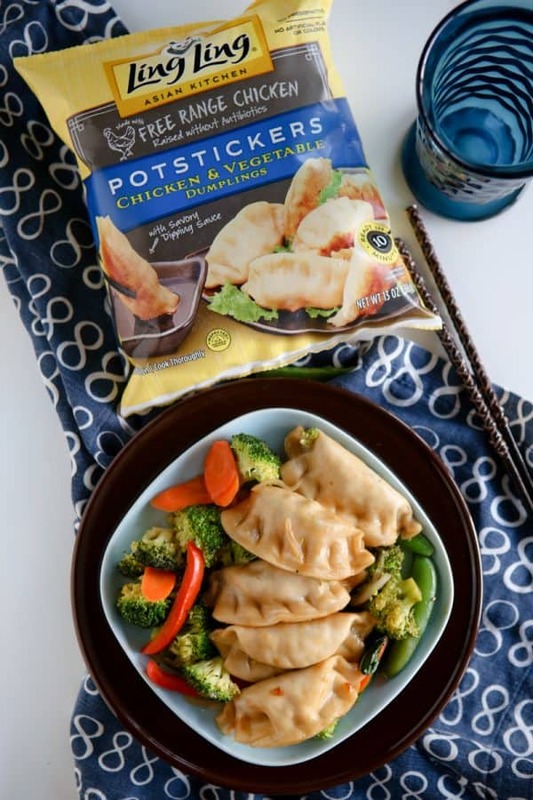 They package of Potstickers also includes a delicious dipping sauce. Ling Ling also make Noodles that are authentic Asian style noodles combined with delicious sauces, protiens and vegetables. They come in Drunken Noodles and Yakisoba Noodles. 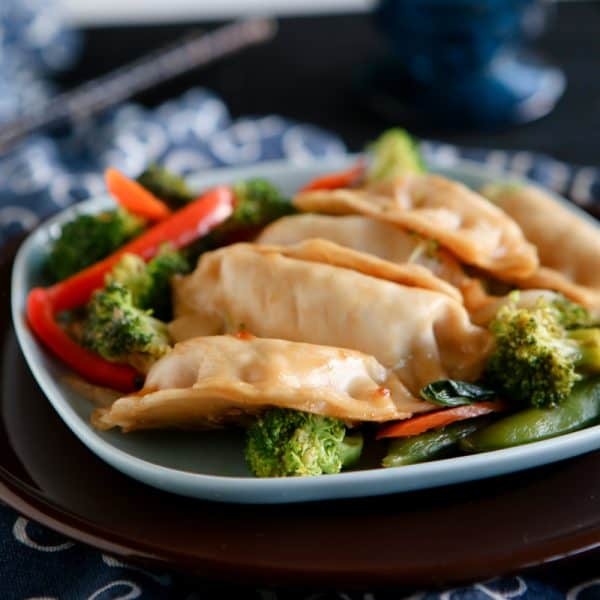 For this recipe, I use Ling Ling chicken Potstickers and combine them with teriyaki sauce, broccoli florets, red bell peppers, onion, sugar snap peas and carrot slices. This recipe cooks in just about 10 minutes and can be served alone as show or with rice. I like to make this recipe for my family as an appetizer to either a Noodle Dish or Fried Rice. 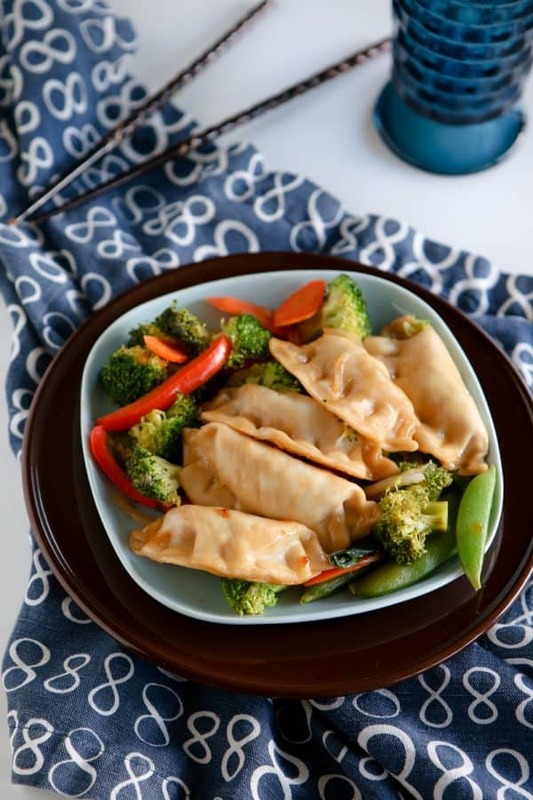 This Friday, on Chinese New Year, we’ll be making this Potsticker stir fry as an appetizer to the Ling Ling Drunken Noodles. My kids love Asian noodles! Find out more about Ling Ling products at their website, and use the store locator to find Ling Ling products near you! Add vegetable oil to large nonstick skillet; tilt to cover bottom of skillet. Place Potstickers in single layer around edge of skillet, flat-sides down. Add combined water, teriyaki sauce and sesame oil skillet. Bring to boil over medium-high heat; cover. Simmer 4 minutes. 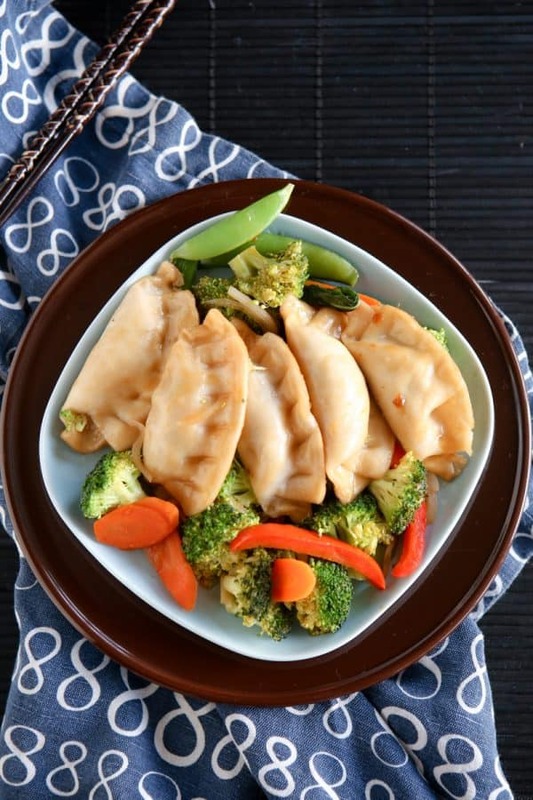 Stir gently to evenly coat vegetables and Potstickers with sauce. Yes! Give me ALL the potstickers!